You can eliminate the bad odor of classic tobacco cigarettes with vaping. The cigarette’s smoke chemicals and tobacco scent is very potent and remains persistent in your lungs, breath, and clothes. Every smoker knows that these chemicals are bad for their health, damage the lungs, ages the skin, stains the fingers and interferes with the optimal blood circulation. Their smell is very persistent and remains so in the smoker’s environment for a long time. The burning of tar, nicotine, and other chemicals makes these substances cling to just about everything leaving a pungent and unpleasant smell long after the smoker has put out their cigarette. Unlike the traditional burning of chemicals through burning and smoking, the e-cigarettes function with vapors that are inhaled, leaving little to no smell at all. The vapors dissipate into the air quickly, their scent fading either entirely and quick after using them or leaves an almost nonexistent scent of pleasant aromas that fade quickly. They smell a lot better, and their odors are non-persistent. A regular smoker will normally buy a pack of cigarettes a day, which costs about £9. That’s £63 a week and around £252 a month. A good vape kit will cost about £30 and will last much much longer. E-liquid will also last much longer than cigarettes and are significantly cheaper in the long run. Vape Pens are also more likely to decrease in price in the future, further saving you more money. Regular cigarettes contain many chemicals that are very harmful to your health and body functions. Research shows that they can cause cancer, circulation problems, heart stroke, pneumonia, etc. Customers report feeling better after switching to vaping. Studies have concluded that vaping is a lot safer and not as harmful as cigarettes. E-cigarettes have many different models and come in a variety of different shapes and sizes. This means you can pick one that suits your style and budget. 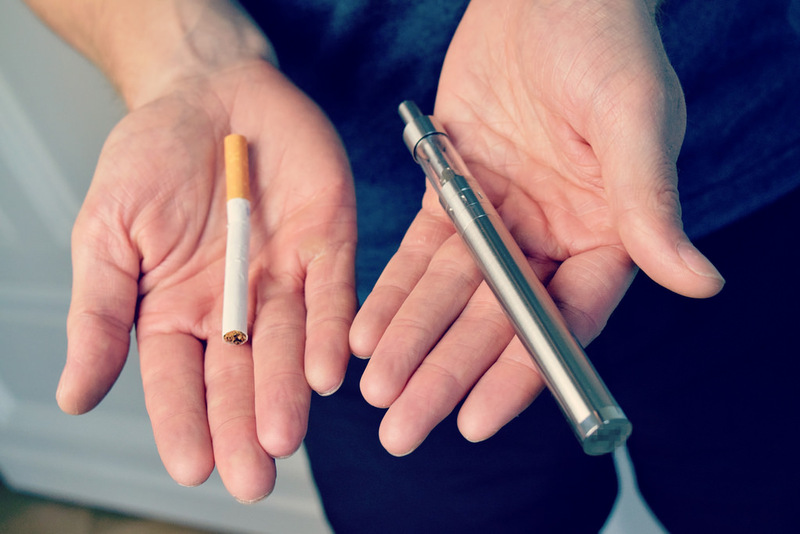 E-cigarettes can also be smoked almost anywhere, while regular cigarettes are forbidden or illegal in a lot of places as they can be harmful to others around you. Vaping is much safer than regular smoking for not just you, but the people around you, as there is no flames involved, meaning no chance of a fire hazard. You can also safely get rid of any ashtrays and lighters that you may have has.